A Female Frame Builder Speaks! Unashamedly a feminist trying in my small way to redress the balance and to celebrate talented women, when I decided to write something frame building in the run up to Bespoked Handbuilt Bike Show, I purposefully set out to discover whether any women were exhibiting. 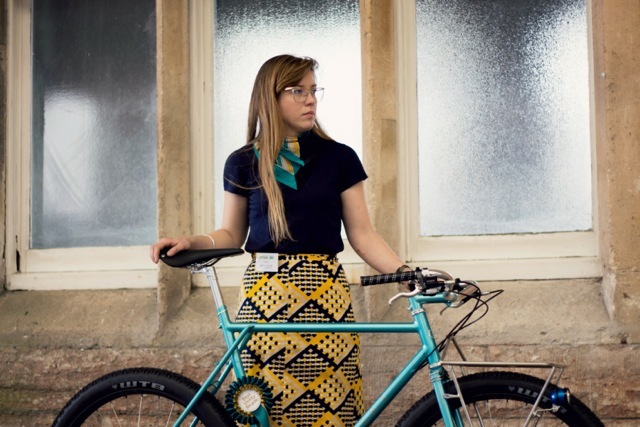 After a shout out on twitter, I found out about Caren Hartley, of Hartley Cycles, who as it happened was in the middle of building a bike for photographer Camille Macmillan, whom I’d met last year at Eroica Britannia. 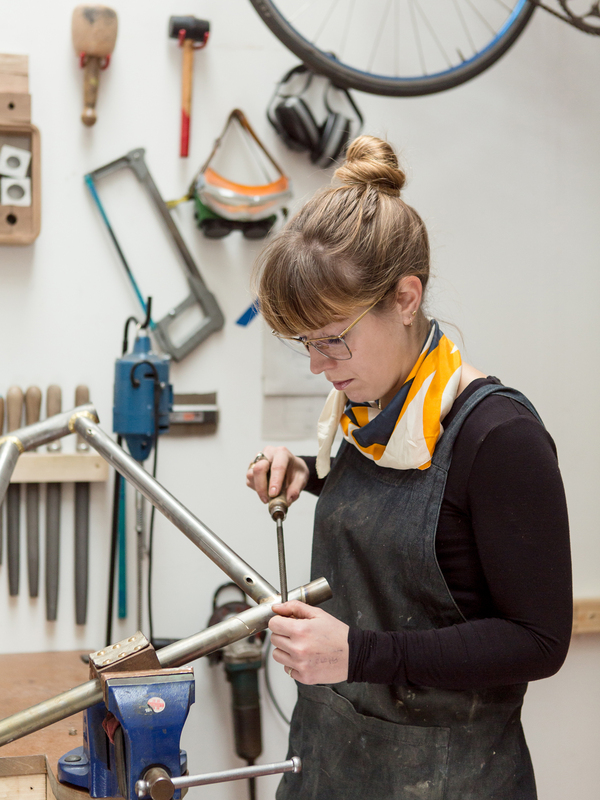 Caren ended up being the first and only female frame builder at Bespoked. She also winded up winning an award for the bike she built for Camille. I had a chat with her for the Brooks blog to find out more about her first year in the trade. Click here to have a gander. After doing a thorough search for every framebuilder I could find, I discovered that a few of them were women. Not as many as I expected, unfortunately.